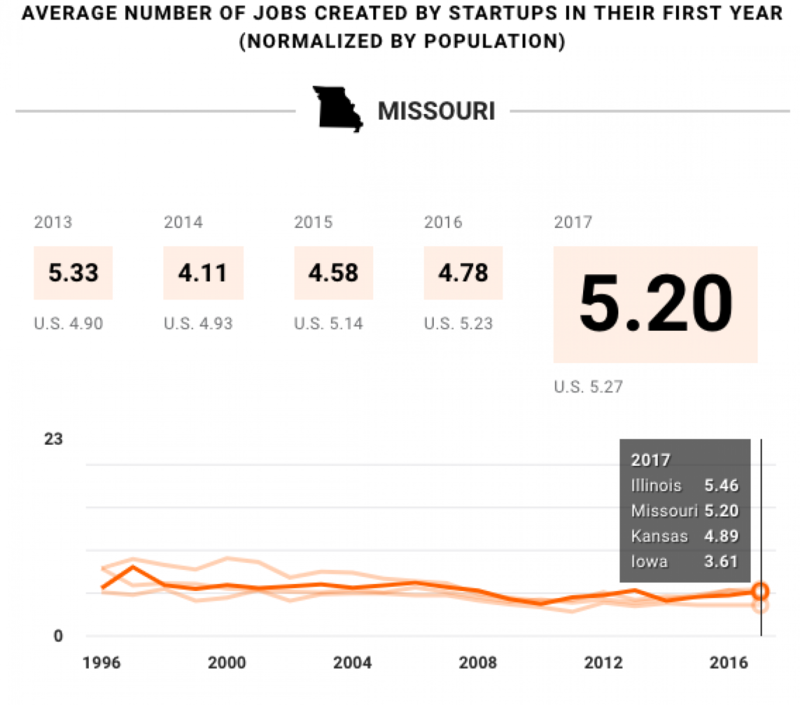 Bottom Line: Missouri is the 2nd most entrepreneurial state in the nation according to the Kauffman Foundation's Early-Stage Entrepreneurship Index (KESE), which aggregates entrepreneurship rates, jobs created by startup, entrepreneurship by choice (rather than necessity), and survival rate after one year. 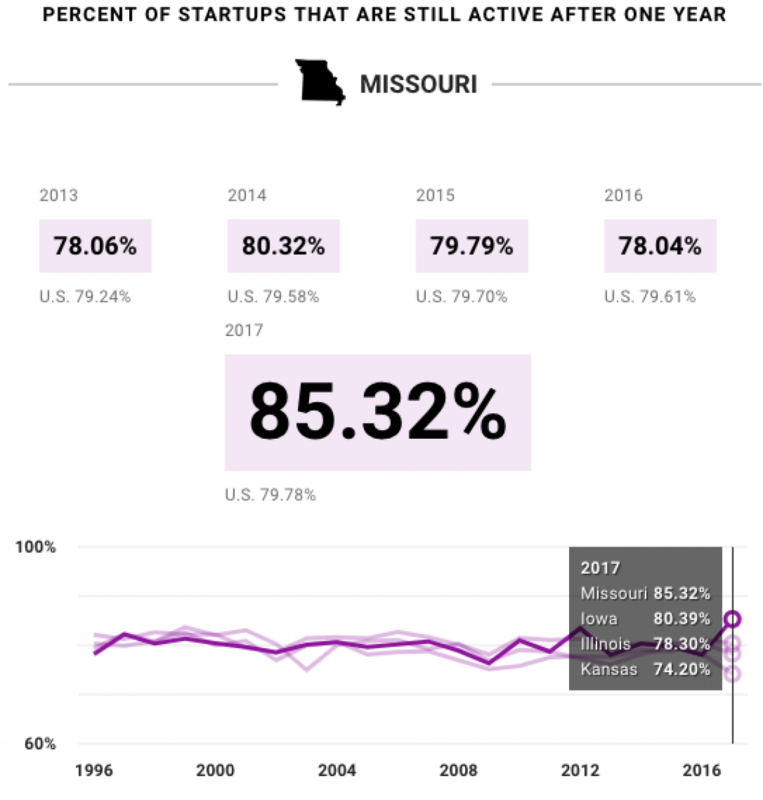 While Missouri leads its geographic peers by its KESE score, it does not lead in every component. For instance, Iowa has a higher percentage of entrepreneurs by choice rather than necessity. And Illinois creates more jobs per startup. Missouri leads its geographic peers in entrepreneurship rate and entrepreneurship survival rate. This is part of a multi-part series offering regional comparisons of entrepreneurship indicators. You can access the other regions HERE. Read the full report HERE. 32 out of every 1,000 Missouri residents start a business each month, making Missouri one of the more entrepreneurial states in the nation. 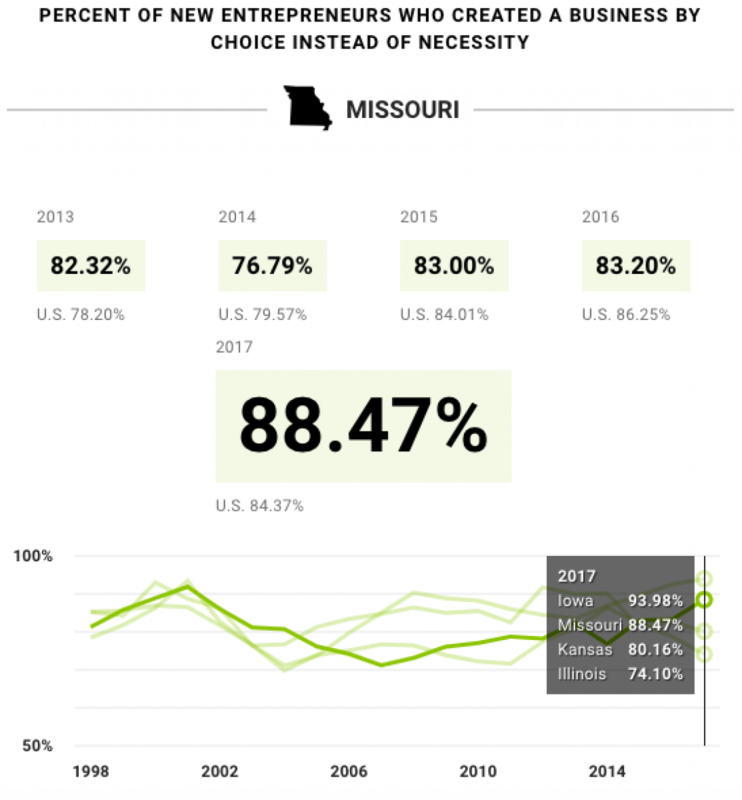 88 percent of Missouri entrepreneurs create their business by choice, rather than necessity, behind Iowa's impressive 94 percent rate. An impressive 85 percent of Missouri businesses survive at least a year -- a significantly higher rate than its geographic peers.